Do you know what your liver do? It decomposes alcohol. It also creates energy and makes bile, synthesizes vitamins, and detoxifies the body. Liver is one of the most important organs in your whole body. In fact, the liver performs many tasks, as much as 500 kinds of chemical processing to keep your body running smoothly. Now, we receive reports that there's a dramatic increase of liver disease cases globally. According to the reports we have gathered, people who never drink alcoholic beverages may still get liver problems. In fact, many victims of liver disease are not alcoholics. 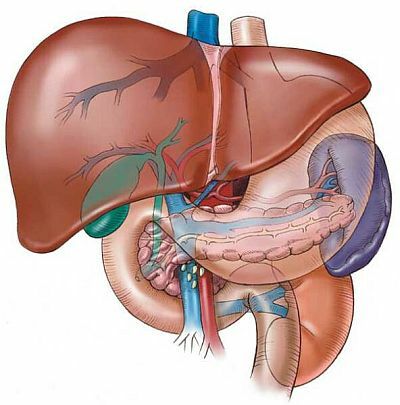 Liver disease is also asymptomatic, presenting no symptoms of the disease. Gourmet foods around can also cause liver disease. Why do we have to tackle liver disease? It is because many people are forgetting about liver management. When liver trouble occurs, it might already be too late, and even surgery may not help you anymore. It is because most liver diseases do not show any symptoms of it getting worse. Sometimes, when you find out that you have liver disease, the liver had already been damaged severely to the extent that the damage had become irreversible. Yes, this condition may be invisible even with CT scan. Can you believe that? It really happens. Basically, your liver melts little by little. We recommend that you undergo checkup every year by your hospital. We really recommend you to find your best diet to avoid liver disease.